The justice sector has a powerful role to play in a coordinated response to ending violence against women and girls. The justice sector uses the authority of the government, or of the community, to enforce laws and other rules of behaviour that can protect women and girls from violence and punish perpetrators. Women around the globe confront challenges accessing justice. Violence by perpetrators who are known to the victim is much less likely to be reported than violence perpetrated by strangers. Women often do not see the violence as a crime. 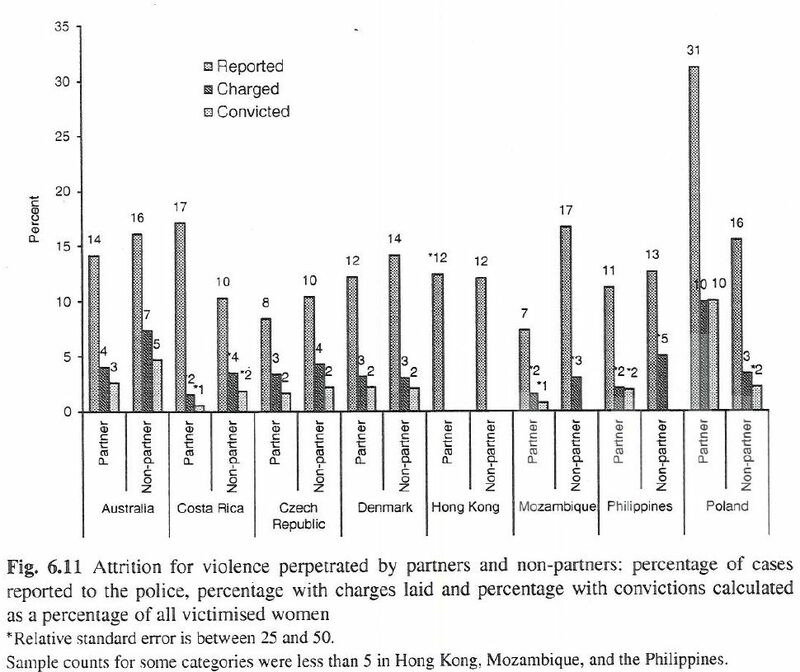 When asked about whether intimate partner violence they had experienced was a crime, more women participants in the International Violence Against Women Survey from around the world viewed the violence as wrong but not a crime. For example, only 41% of respondents in Costa Rica said the violence was a crime and only 15% of respondents in Hong Kong said the violence was criminal. When women do report crimes of violence, the rates of perpetrators being charged and convicted are very low, generally less than 10% according to the International Violence Against Women Survey. Reforming laws, policies, and practices to promote the removal of perpetrators from situations in which they use violence against women (incarceration, expulsion from the home, community exile) and holding offenders accountable for violence by imposing other penalties. Developing a fair and equitable constitution and reforming laws based on international human rights standards. Introducing legislative and enforcement mechanisms to promote and protect human rights and to overcome barriers confronting marginalized and vulnerable groups. Developing a judiciary with expertise on violence against women. Developing a coordinated community response to cases of violence against women. Providing timely, equitable access to justice and effective enforcement of laws. Ensuring that justice mechanisms apply fair and consistent procedures. Strengthening links and cooperation between and among state and non-state institutions to ensure victim safety and offender accountability. Building trust in the justice sector. Ensuring a representative and credible justice sector. Strengthening oversight and monitoring of the justice sector. Providing survivors with civil remedies and/or reparations.